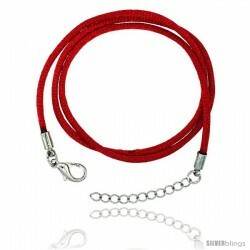 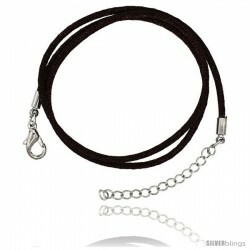 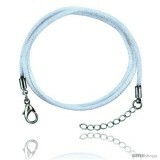 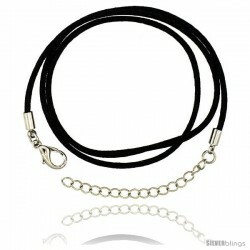 Fashion and style come together in this Silk Cord with Clasp made with Stainless Steel which is expressive and bold. 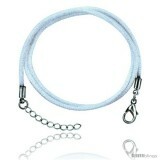 The cord in this necklace is made of 20% Silk and 80% Viscose which is what most better quality cords are made of. 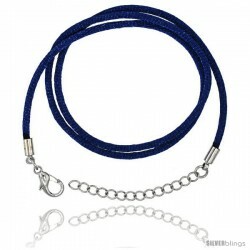 the findings are made of High Quality Stainless Steel which generally have a much smoother surface and better finished than silver and they wont tarnish. 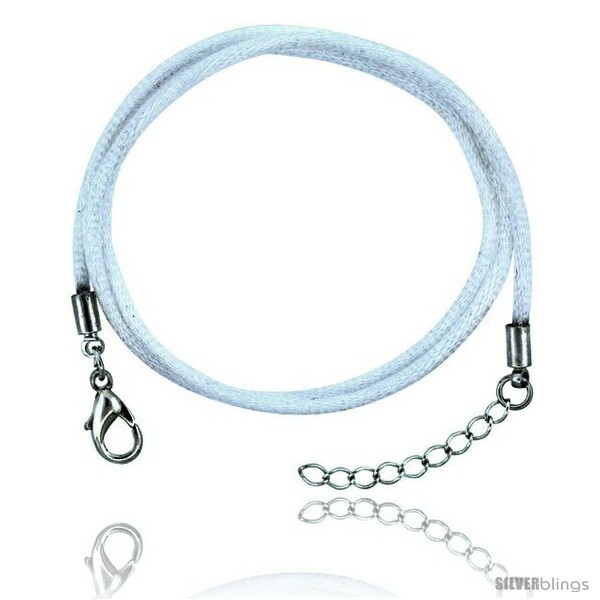 in all you get a necklace for half the cost of silver with a better longer lasting look, and a one inch extension which is always useful.